Congratulations--OSRT's 2019 Annual Meeting was another successful conference! The 79th Annual Meeting of the OSRT was held April 3-6, 2019 in Worthington, Ohio. Attendees were able to learn and earn quality continuing education credits through the diverse program offering of 31 educational sessions and were able to professioanlly network with colleagues. Board of Directors elections were held as well as conducting the business of the Society. 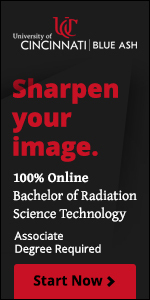 As always, the OSRT is the voice of Ohio medical imaging and radiologic science professionals.